You know you’ve graduated to the next step in life when you stop receiving invites to 21st Birthday parties and start receiving wedding invitations. I’m stoked that people find me significant enough to want me to be involved in their very special days, however for me this usually involves having to book a rather expensive return flight back to New Zealand. I must say the airfare was completely worth the recent trip back to the homeland. Not only did I have the honour of being appointed best man but this was an opportunity to attend perhaps the most unique wedding of my life (bar mine, still to happen…). I have known Evan and Sarah for just over ten years. We meet back in Christchurch where I would spend basically every evening at their house drinking beers and smoking cigarettes. Although we have lived in different parts of the world for the past six years we have always kept in close contact. I knew that due to the kind of people Evan and Sarah are that their wedding would be nothing short of unique. 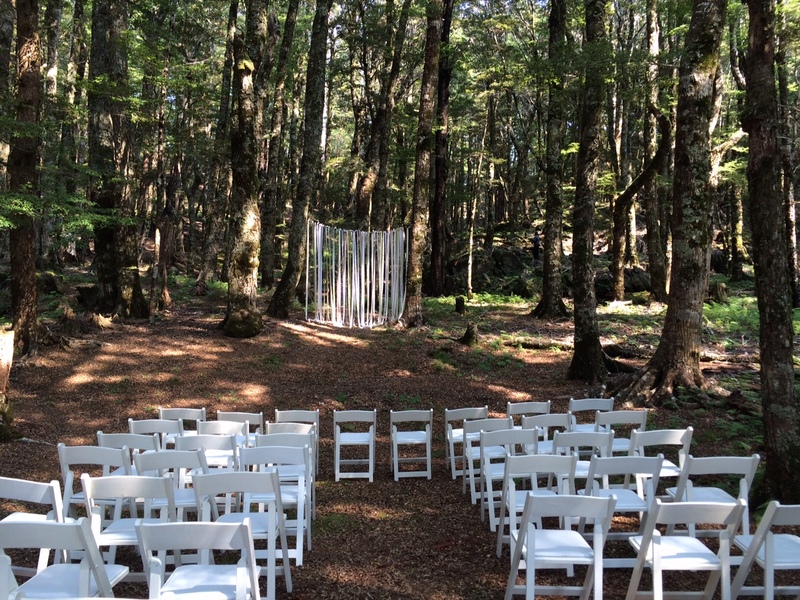 I arrived at our accommodation on the outskirts of Motueka (also the venue for the wedding function) three days before the event and immediately realised that there was much to be done before the vows could be exchanged. We hung a kilometre of fairy lights, a million paper lanterns strung up signs and checked off a thousand ticks on the to do list. Evan, Jimmy and I awoke particularly early on the day of the wedding to a cloudless sky. Evan had been up very late the night before adding the final touches to his speech so it was a wonder that he was so awake, but then again it was his wedding day. A van picked us up at 9am to head to the ceremony venue which was in a little piece of forest in Canaan Downs selected by the Bride and Groom months previously. By 11am the majority of the guests had arrived and my midday the Bride was flown in via helicopter. 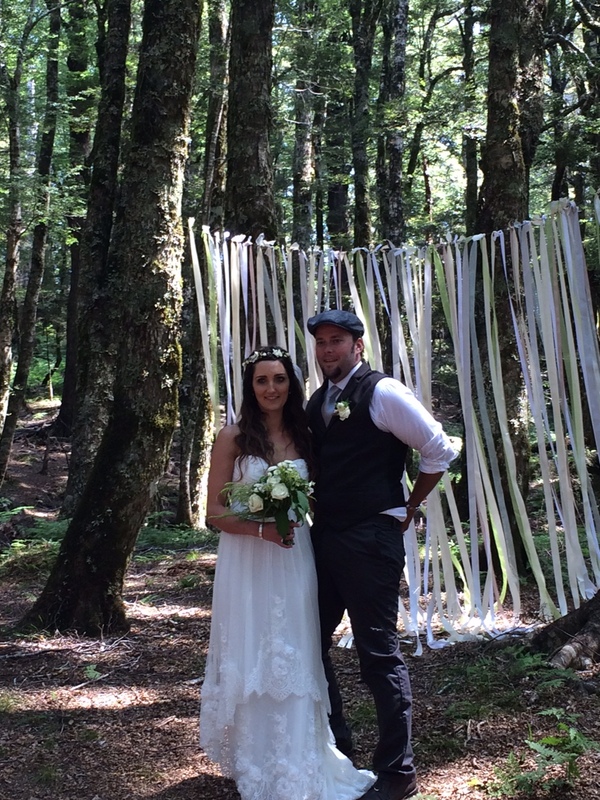 The Ceremony itself was flawless and was a true reflection on the people that Evan and Sarah are. 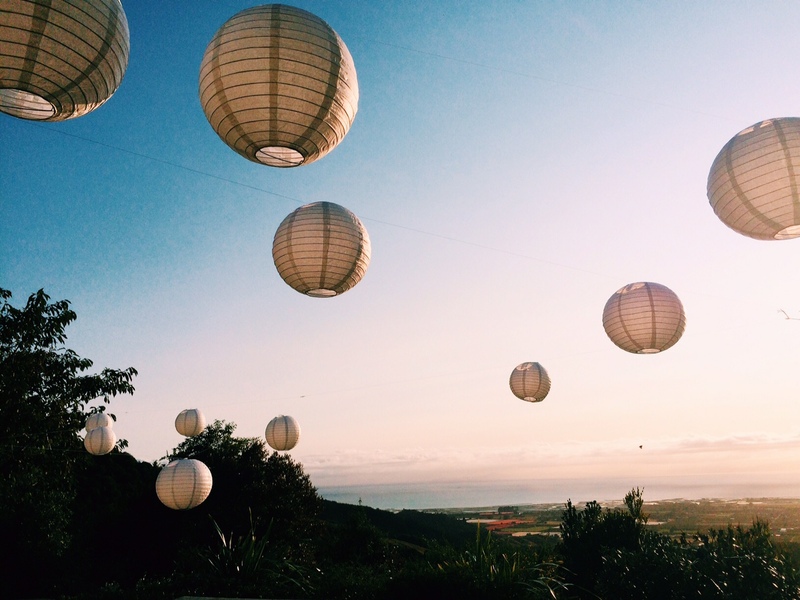 They challenged every element in planning a wedding and all of their risks paid off. I was nervous about losing the rings, but after checking they were still in my pocket every ten seconds it was safe to say they were going to safely end up on the fingers of the Bride and Groom. After Evan and Sarah were announced as a married couple the bridal party took part in a rather extensive photo shoot in the forest. Evan and Sarah were then whisked off in the helicopter for more photos and about eight of us hopped in the van to be taken on a mystery adventured planned in secret by the newly married couple. We arrived at Kaiteriteri Beach shortly after and were taken via boat out to a sandy Island for drinks and a picnic lunch. Although my wedding outfit probably wasn’t the best for trying to jump from a boat to the sand without getting wet feet, the scenery did nothing but add to this extraordinarily special day. By the time we returned to the venue of the wedding function it had been completely transformed. The lights we had spent so many hours hanging over the previous days now light up the area like stars in the night. There were speeches, great food and a LOT of drinks consumed. At around midnight the last guests left and at around 2am Jimmy and I climbed into our bunks to fall instantly to sleep. I woke up the next morning still wearing my shirt, bowtie and suspenders and had a six hour drive ahead of me back to Christchurch followed by a three and a half hour flight to Melbourne. Needless to say that when I finally boarded the plane and placed my head on the tray table in front of me I was knocked out and didn’t wake up until it was time to descend back into Melbourne. 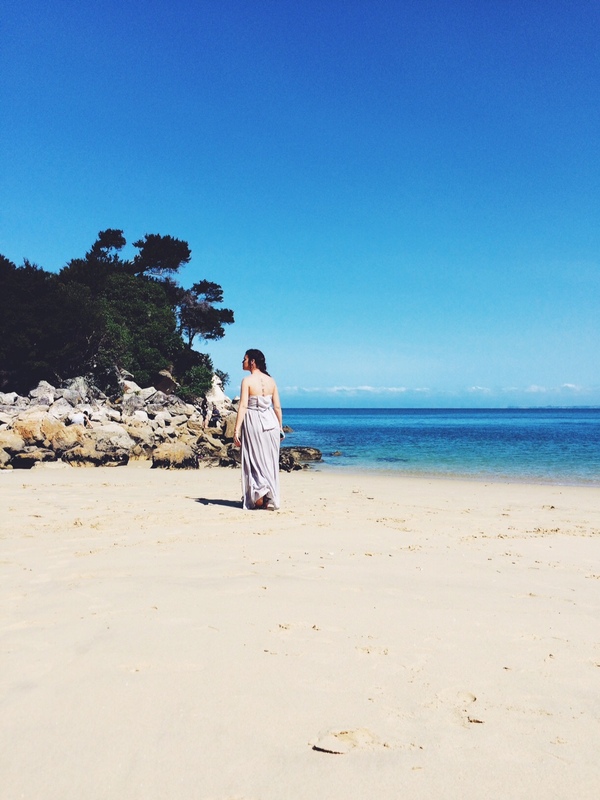 This entry was posted in travel and tagged abel tasman, beach, kaiteriteri, motueka, nelson, new zealand, romance, summer, tasman, travel, wedding. Bookmark the permalink.